Rising inflation, slower wage and economic growth but the UK showed signs of strong economic fundamentals and resilience. Rising inflation, faster than wage growth and a slower economic growth in comparison with other European countries, the British economy has been negatively impacted by BREXIT but still, shows signs of resilience. The United Kingdom is still very much part of the European Union, at least until March 2019, the time that will complete the mandatory two years of the article 50 clause, and so right now, the UK still benefit from all the advantages of membership like free trade within the bloc. Market jitters brought on by uncertainty has sent the currency downward, infighting in government or ruling Conservative party and total lack of clarity in the opposition Labour party, whose popularity has soared on the promises of social reform but noticeably just as disagreeable on BREXIT as the ruling party has contributed to the state of economic chaos. Labour is not currently making any economic policy, but the surge in opinion poll suggesting Labour may win a general election may affect the behaviours of the market as a result of their various policies. It is a cliche, market like certainty but this time, it is true. While there are activities that suggest a major shift in the behaviour of businesses and investors, like the warning to German firms to prepare for hard BREXIT and some banks planning on opening branches in Europe, the immediate concern for government is the real fall in the wages of people as a result of inflation outstripping wages. The UK inflation is the highest at 2.9% (August data) among comparable European economies, the September data is due for release on 17th October. Rising cost of clothing and motor fuel were indicated as the cause of the rise in inflation, these can be linked to the fallen pound which in turn is linked to the uncertainty over BREXIT. UK INFLATION IS AT 2.9%, it is the highest among similar European countries. September data is not available yet for the UK and Spain. The impact of the fall in the pound since last year’s Brexit vote made itself felt as consumer prices increased by 2.9 percent compared with a year earlier and its biggest increase since June 2013, the Office for National Statistics said. In comparison to wage growth, inflation is rising faster which ultimately means the buying power of people is lower or in another way, people are poorer in real term. However, some other indices suggest a strong fundamental and resilience in the British economy. The unemployment rate is falling and the unemployment benefit claimant count is down as well. The UK unemployment rate stands at 4.3% similar to the U.S at 4.4%, only bettered by Germany 3.9%. However, France at 9.5%, Italy at 11.2% and Spain at 17% are worse off. The living standard has flat-lined but better than 2015 and only slightly lower than just before and after the referendum. According to ONS, vacancies are going up, slightly down between June to August 2017 compared with March to May of the same year, this may be due to the number of take-up of jobs. Conversely, redundancy is about the same level with March to May 2016 prior to the referendum, lower than May to July 2016 immediately before and after the referendum and definitely lower than January 2017. Jobs created since the BREXIT vote. The jobs market remain buoyant, this is reflected in the unemployment rate, lower redundancy, number of vacancies and particularly newly created jobs after BREXIT. Businesses are not likely to continue to invest in jobs without a good economic fundamental. Without a doubt, BREXIT and lack of leadership are negatively impacting the economy, the picture may likely be better, or at least be comparable to other European economies like Germany. 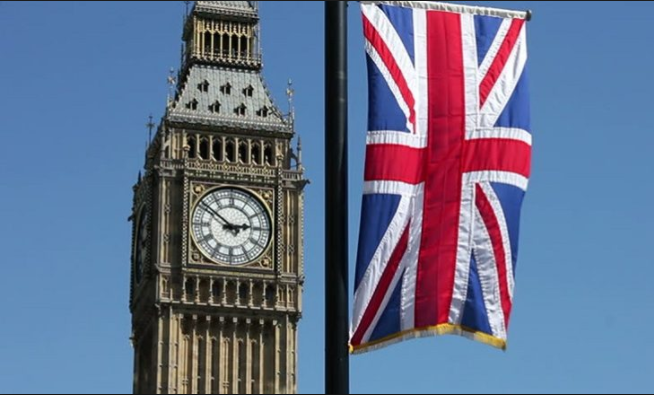 Finally, Center for Economics and Business Research (CEBR) raised its expectation or outlook for the UK economy, this is due to pick up in manufacturing. The economy, according to CEBR is now expected to grow by 1.6% from the initial forecast of 1.3% in 2017 and 1.4% from initial forcast of 1.2%. Bank of England (BOE) also raise the prospect of interest rate rise this year because the economy is slightly stronger than anticipated. How does the new dependent contractor status affect the IR35 legislation?